A scan around the area’s shady back yards and wooded spots shows that ferns have poked their little violin-scrolled tops through the leaves. Along the same lines, in window boxes and planters, pansies are soaking up the springtime sun – and loving the cool nights. Which brings to mind a hot food trend for the spring of 2008 – edible flowers. Dandelion leaves, nasturtiums, pansies, marigolds (calendulas, in formal speak) and fiddlehead ferns are among some of the more unconventional flowers and buds that go into cuisine. While a pansy is a pansy, and a marigold a marigold, some people may be a little anxious about popping ferns into their mouths. Online sources can ship these perishable bits o’ woodland goodness while they’re in season for the next two months or so. They're tastier than they look and add just a little punch to a salad or other quick-sauteed dish. Marx Foods, an online specialty food store, sources ferns from foragers in northern California up through Washington. With a flavor resembling a cross between an artichoke and asparagus, if cooked correctly the fiddlehead fern will maintain a vibrant jade green color and crisp texture adding an enchanting accent to the dinner plate. With a mild flavor and nutty bite, fiddlehead ferns pair well with pasta, steak, lamb, seafood and poultry. As a side dish, they can fill in for string beans, spinach, artichokes and asparagus or combined with fresh mushrooms make a decadent ragout. 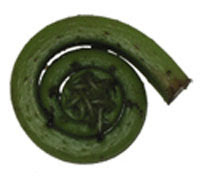 Fiddlehead ferns can be sautéed, stir fried or steamed. If blanched, they should be put in an ice bath to retain their emerald green color. Other wild produce now in season includes watercress, miner’s lettuce, stinging nettles (believe it or not, tastier than they sound; I had them in England several years ago, and they were great). Great post, Laura. 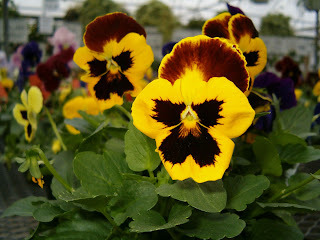 I'd love to incorporate Edible flowers into our site. Let me know if you know a good source!